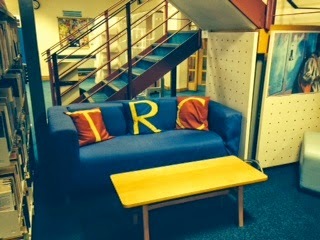 LRC Blog: Shiny New Term!!! Hello and welcome to the shiny new academic year. We hope you have all had an exciting and restful summer and you are back raring to go and ready to learn. So to start the term off - here's what we have changed over the summer months. 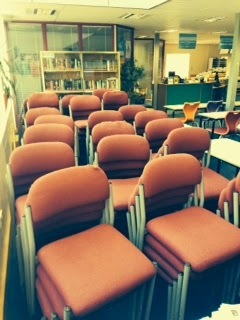 First and foremost - we've changed the chairs! We've purchased loads of new books, with some departments having a complete overhaul of their collection - for instance the Law section is now fully changed with a wealth of new current and up to date books. We've also subscribed to some new e-resources - particularly we now have access to the Philip Allan Review Magazines Online Archive which can be accessed from both home and College. You can access this resource via the E-Resources list (under the LRC tab on Moodle). If you need help with this just ask a member of LRC staff. The LRC is back to normal opening hours as from Monday - and please remember the LRC is not a social area and is a place to study and revise quietly. We discovered from our Student Survey last year that 60% of students were fed up with all the noise and disruption in the LRC, so be aware that we will be clamping down on this from the start to ensure we can maintain a quiet environment for you all. 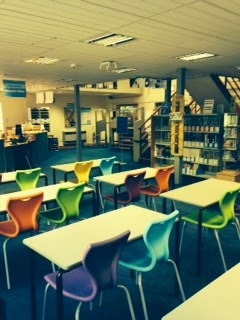 So all that is left to say is good luck for the start of term and we look forward to seeing you all soon.